Like its museums, Tucson excels in the art gallery department. Visitors will find everything from photography galleries to intriguing paintings of Native American subjects and collections of art works from renowned masters. The University of Arizona Museum of Art is the place to look for the latter, while the Tucson Museum of Art is one of the city's top art galleries, located close to Sunset Park and La Placita Village Shopping Center, and featuring both permanent and changing exhibits. The collection here is divided into a series of themed galleries, known as Art of the American West, Art of Latin America, and Modern and Contemporary Art, while there is also an interesting Rare Books and Manuscripts section. 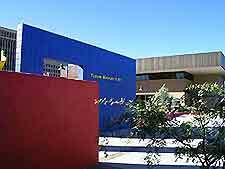 Located in the Historic Block, the Tucson Museum of Art is the city's premier art gallery featuring permanent and changing exhibitions by renowned international masters, as well as regional artists. The Museum of Art is a comprehensive facility with an excellent art school and library as well as a gift shop and a café. Standing in the Foothills region of Tucson, Bahti Indian Arts is a family business with a love for Native American art. It has some top quality products on display for sale including art, jewelry, pottery, rugs and other art works. 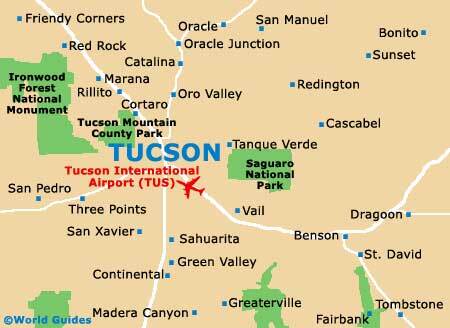 The Northcentral District Park is within close proximity, while the Catalina Foothills lie just a short distance to the northeast. The Center for Creative Photography is a photography archive with many works by famous photographers including the likes of Edward Weston, Paul Strand, Louise Dahl-Wolfe and West Eugene Smith. Many negatives for the museum were donated by Ansel Adams and the main gallery often features changing exhibits. The Arizona Repertory Theater stands nearby and may also be of interest. This odd yet intriguing Tucson art gallery depicting Southwest Native American and Mexican life was constructed from natural materials found in the desert. Works by founder Ted de Grazia can be both fabulous and tawdry depending on your perspective, while visitors can also visit his former workshop and grave. The museum gift shop has plenty of relevant merchandise for sale including prints and ceramics. This brilliant and comprehensive art museum features some magnificent American and European art spread over hundreds of years, from the Renaissance period right up to the 20th century. Some of the world's finest masters are featured at the University of Arizona Museum of Art, including Picasso, Rembrandt, Warhol and many others, while the art gallery's excellent Retablo of Ciudad Rodrigo collection features 15th-century Spanish works. There are also some quality sculptures here.